Drawing is a great activity for creative thinking. As a kid, I’d often imagine my drawings come to life, or even try to fold the paper in ways to bring them alive, à la Frankenstein. These parents, however, have stepped up their game – take a look at these absolutely fantastic creative projects that highlight how kids can inspire adults to be more creative. 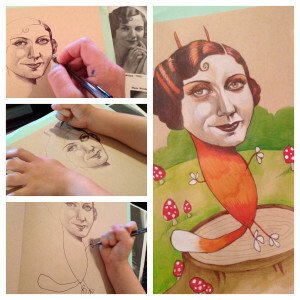 My personal favourite is this illustration project between a Mother, Mica Angela Hendrick, and her 4-year-old Daughter. Mica is an illustrator and graphic artist and her daughter loves to use the same sketchbook and art supplies as her mum. Having used her mothers own words against her, “If you can’t share, we might have to take it away from you” she proceeded to finish her mothers drawings. Who ever said colouring in drawings is for kids? In fact, colouring books are the latest trend in battling anxiety and stress among adults. There’s no complaint out of me, we’ve been playing with our creative tool for a couple months and our iPads are littered with screenshots of our fun drawings. But, this father wins the prize for best dad in the world. 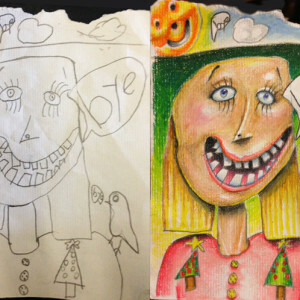 Reddit user Tatsputin colours in his 4 and 7 year olds pictures, and it has turned into a family tradition. 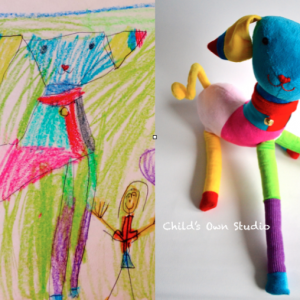 Child’s Own Studio is where your child and a craft artist, together, can create a stuffed toy. These toys have turned out amazingly well and it’s hard to pick a favourite! 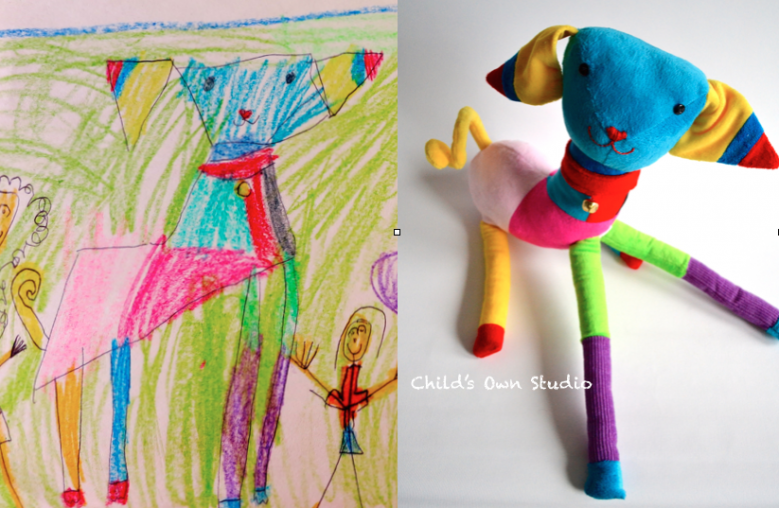 Although it may take a child several minutes to draw these characters, it can take the softie makers hours to stitch these together – and just look at the wild ideas and characters they drew. If you’ve got any crafty skills, why not give it a try with your toddlers drawing? 3D Printed Toy? We’ve got that covered! 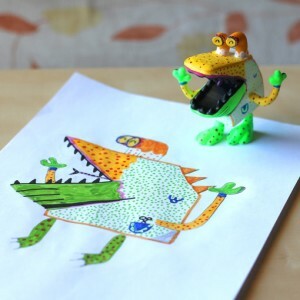 MOYUPI is taking kids drawings and turning them into unique 3D printed toys. 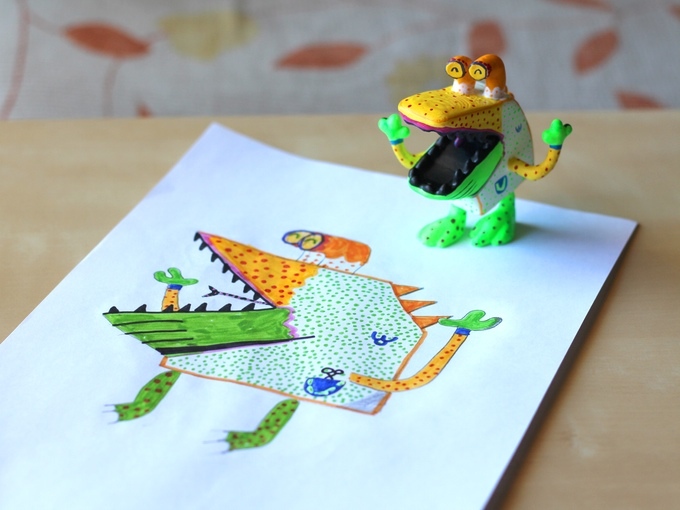 Juan, a Mechanical Engineer specialising in 3D design, was inspired while living with a family in Germany and started bringing little monster drawings made by the kids to life with 3D printing. Originality is encouraged, with no limitation on creativity. They can draw up anything they could possibly think of and it’ll be turned into a real toy. Oh to be a kid in this modern world! Feeling Creative? Show us what you’ve got. I’ve been busy collecting creative projects just like this on Pinterest so you don’t have to. Take a peak and let us know your favourite. 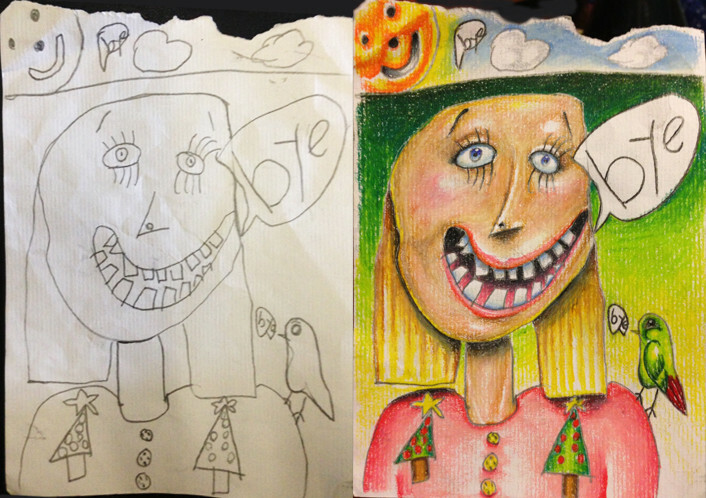 Better yet, share your own collaboration with us – who ever said colouring was just for kids? Share your masterpiece with us on Facebook or Twitter.